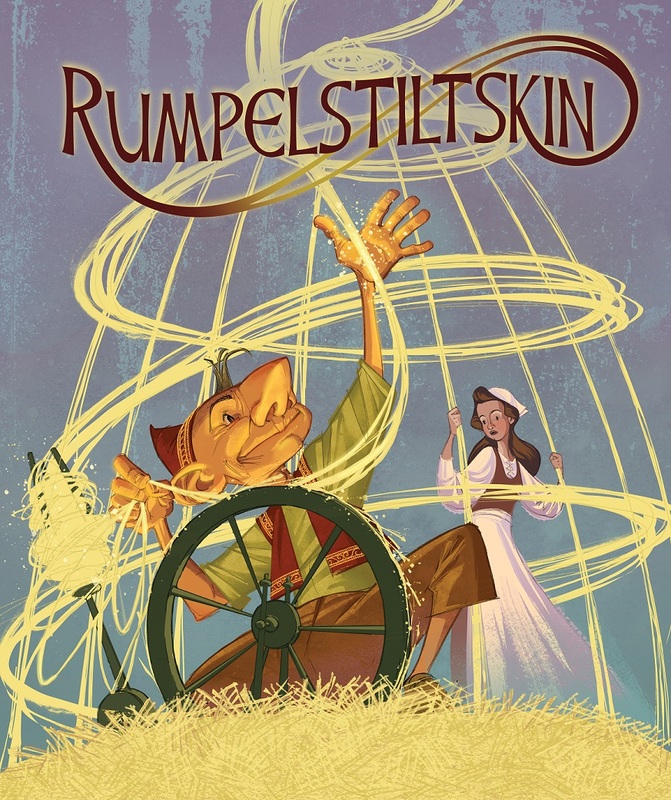 The Arkansas Arts Center Children’s Theatre presents Rumpelstiltskin through February 8, 2015. Once upon a time, there was a dwarf who tried to take things that just weren’t his. Now, this dwarf lived in a land that was ruled by a king whose greed was as grand as his kingdom. And in that kingdom, there lived a miller whose bragging mouth was nearly as grand as the king’s greed. And it so happened that this miller had a lovely daughter who was kind and good, but one day she did a very bad thing – she made a promise she could not keep. Now, the king is angry, the miller is frightened, and the dwarf is simply out of control. Wheels spin and straw flies as the miller’s daughter works madly to make things right again, but the only way she can is by discovering the mean old dwarf’s secret true name. In searching for that, she discovers the only power in the world that will help her. The most magical power of all: love. This production is adapted for the stage by Keith Smith from the Brothers Grimm. Bradley Anderson is the artistic director and Keith Smith is the playwright and set designer for the production. Costumes are designed by Erin Larkin; technical direction by Drew Posey; lighting design by Penelope Poppers; properties design by Miranda Young and Sarah Gasser is the stage manager. 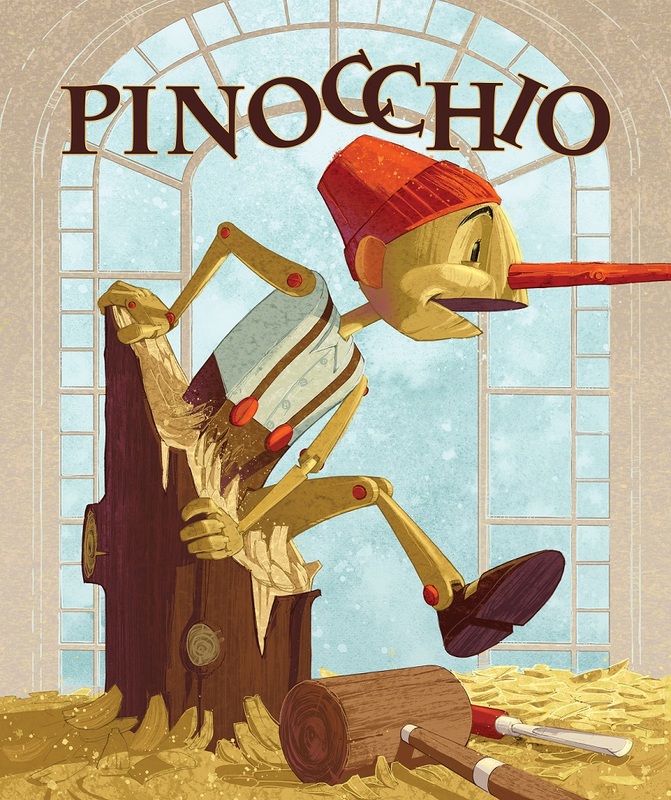 The Arkansas Arts Center Children’s Theatre presents Pinocchio through November 9. Once upon a time there was… a king? A beautiful princess? An evil wizard? No. Once upon a time there was… a block of wood. One day, by a stroke of incredible luck, this commonplace piece of lumber found its way into the skilled hands of Geppetto the wood carver. And so, the world’s most famous marionette, Pinocchio, was born. Come join the fun as the little puppet runs away to discover the world. Meet strange and exciting creatures like the Fox, the Cat, the Blue-haired Fairy, the dreaded Giant Dogfish, and yes – the Talking Cricket. This production is adapted for the stage by Keith Smith from the original story by Carlo Collodia. Keith Smith is the director and playwright for the production. Costumes are designed by Erin Larkin, set design and technical direction by Drew Posey, lighting design by Penelope Poppers, properties design by Miranda Young and Sarah Gasser is the stage manager. The Arkansas Arts Center Children’s Theatre season sponsor is Arkansas Blue Cross and Blue Shield and the fall season is sponsored by Centennial Bank. For more information, visit ArkansasArtsCenter.org or call (501) 372-4000. 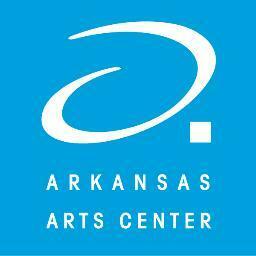 “Like” the Arkansas Arts Center on Facebook for the most up-to-date information on exhibitions, events and educational offerings. As the state’s leader in international, visual and performing arts, the Arkansas Arts Center Children’s Theatre announces a sensational lineup of productions for the 2014–15 season. The Arkansas Arts Center Children’s Theatre will open the 2014-15 season with Go, Dog. Go! September 17 – October 5, 2014. Watch the stage explode with a delight of color, motion, music and dogs in this captivating adaptation of P. D. Eastman’s famous canine extravaganza. Go, Dog. Go! is adapted for the stage by Stephen Dietz and Allison Gregory. Magic and morality abound this fall when Pinocchio takes the stage on October 24 – November 9, 2014. One day, by a stroke of incredible luck, this commonplace piece of lumber found its way into the skilled hands of Geppetto the wood carver. And so, the world’s most famous marionette, Pinocchio, was born. Come join the fun as the little puppet runs away to discover the world. The audience will enjoy the fun and share Geppetto’s delight as his little Pinocchio learns an important lesson. The production is written by Alan Keith Smith based on the story by Carlo Collodi. Spend quality time with the family this holiday season with The Velveteen Rabbit on November 28 – December 21, 2014. The audience will be thrilled with this Christmas themed childhood favorite as the story of a stuffed rabbit and his quest to become real through the love of his owner come to life on stage. The Velveteen Rabbit is written by Alan Keith Smith and based on the story by Margery Williams. Take a break from the winter wonderland to see the world famous Grimm’s fairy tale Rumpelstiltskin take the stage January 21 – February 8, 2015. Watch as the miller whose bragging mouth was nearly as grand as the king’s greed gets his lovely daughter into a bit of a mess. The story takes the audience on an adventure while the characters facing life-altering decisions, broken promises and an array of mysterious events through the power of friendship, the destructive nature of vanity and greed and the value of forgiveness. Rumpelstiltskin is adapted for the stage by Alan Keith Smith. Ever been stuck inside when the weather is blue? The Cat in the Hat has fun in store for you as one of the most familiar and beloved picture books of the last half century erupts with fun on the Children’s Theatre stage on March 5 – March 29, 2015. Sally and her brother are miserably bored on a rainy day until they cross paths with the Cat in the Hat and he’s just in time to show the kids a Thing or two about fun. The Cat in the Hat by Dr. Seuss is adapted for the stage by Katie Mitchell. Just in time for spring, audiences will rally with Robin Hood and his merry band as they outwit and outclass the nasty Sheriff of Nottingham in The Legend of Robin Hood on stage April 24 – May 10, 2015. Join the Children’s Theatre on a glorious adventure with charm and wit that never fails to rouse our hearts in the age-old battle of good versus evil. The Legend of Robin Hood is written by Alan Keith Smith. Current presenting sponsors for this Children’s Theatre season are Landers Fiat, Arkansas Blue Cross and Blue Shield, Centennial Bank, JPMS Cox and the media partner is Little Rock Family magazine. Tickets are $12.50 for children and adults and $10 for Arkansas Arts Center members. Season ticket packages are available. For more information, visit arkansasartscenter.org or call (501) 372-4000. 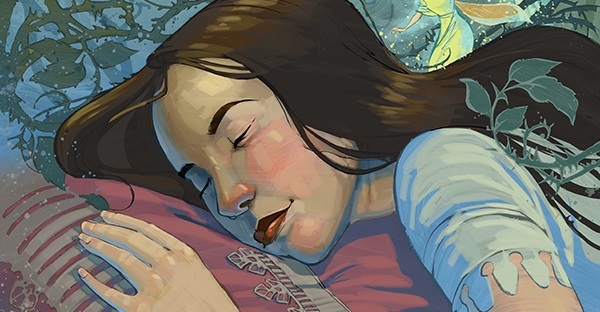 The Arkansas Arts Center Children’s Theatre will bring the enchanted Sleeping Beauty to life from April 25 – May 11. For years, the king and queen have wanted a child. So when their sweet princess is finally born, they invite the entire kingdom with the exception of one bad fairy. What follows is sure to leave audiences of all ages feeling happily ever after. Sleeping Beauty is written by Alan Keith Smith and is based on the fairy tale by the Brothers Grimm. Bradley D. Anderson is the artistic director and director for the production. Musical direction by Lori Isner, costume design by Nikki Webster, technical direction by Drew Posey, lighting design by Penelope Poppers, scenic design by Mary Alyce Hare, properties by Miranda Young and Sarah Gasser is the stage manager. Presenting sponsors are Landers FIAT in Benton, Arkansas Blue Cross and Blue Shield, and in honor of Dorothy and Fallon Davis by Dr. Scott and Shannon Davis. The production is also sponsored by Dr. Loren Bartole, ‘Family Foot Care.’ The Media Sponsor for this production is The Point 94.1. Guests are invited to experience a night full of merriment and magic at the Arkansas Arts Center Children’s Theatre Sleeping Beauty Ball on Saturday, May 10 from 6 – 8 p.m. Admission to the event is $20. For more information, visit arkansasartscenter.org or call (501)372-4000.